Hey y'all! I am back to share another of my For Chic Sake recipes! My Pinterest feed seems to be full of delicious looking peanut butter and chocolate recipes lately! I have a mild peanut intolerance so unfortunately I shouldn’t take part in all of that peanut chocolate goodness. I can, however, enjoy sunflower seed butter! Sunflower seed butter is by far my favorite peanut butter alternative. It is similar enough to peanut butter that I don’t have to feel deprived of peanut butter anymore! 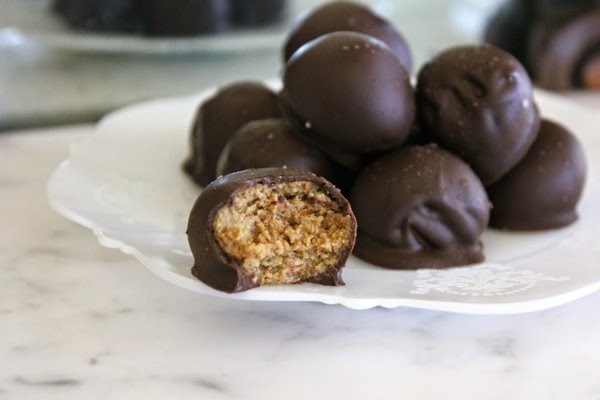 These Crispy Sunflower Butter Truffles can definitely satisfy any peanut butter and chocolate craving! 1. In the bowl of a stand mixer combine graham crackers, sunflower seed butter, and honey. Process until graham crackers are well crushed and mixture comes together. 2. Form mixture into small balls and place balls on a parchment lined baking sheet. 3. Place baking sheet in the freezer for about 15 minutes or until firm. 5. 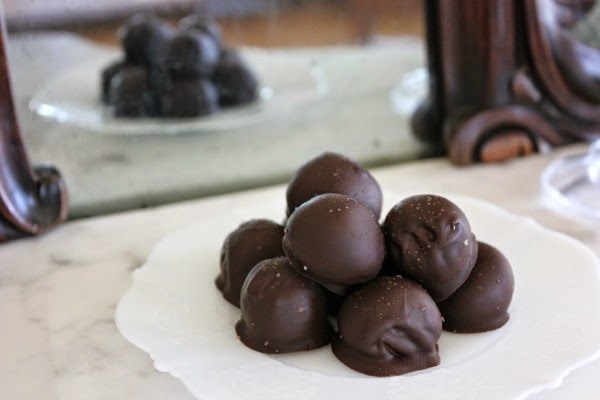 Remove truffles from freezer and coat with melted chocolate. 6. Place coated truffles on a parchment lined baking sheet. Sprinkle each truffle with a bit of pink salt. 7. Refrigerate until set and serve cold! I haven’t tried it, but I am sure that peanut butter or any nut butter would work great in place of the sunflower seed butter. I use only Pink Himalayan Salt in my kitchen. Kimberly Snyder has a great blog post explaining differences in salts!